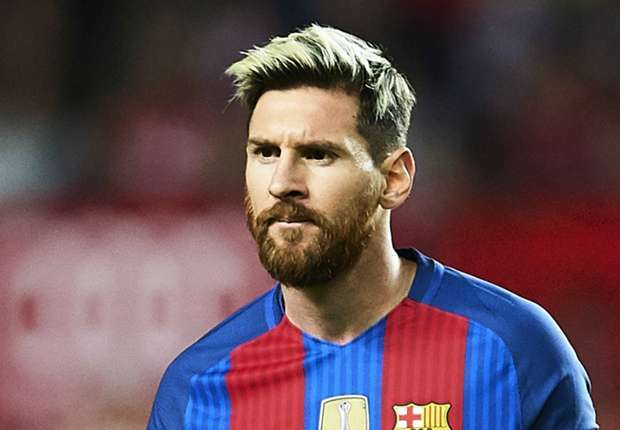 Barcelona forward and Argentine international Lionel Messi has signed a new lucrative deal that will keep him at Barcelona for the next 4 years. Barcelona superstar Lionel Messi has signed a new four-year deal with the club, keeping him with the Spanish giants until 2021, the Barcelona said on its Twitter page on Wednesday. It is reported that the Argentine star will receive £500,000-a-week with €300m release clause. Five times a Ballon d'Or winner, the Argentinean forward was entering the final 12 months of his current deal before the new one was agreed. Reuters reported that Messi, who scored 37 times in La Liga last season, has been at Barcelona since the age of 13, rising through their youth system to become one of the most successful and recognisable footballers in the world. The 30-year-old follows in the footsteps of teammates and fellow strikers Luis Suarez and Neymar, who signed new deals last season. Local media reports indicate the deal will see Messi remain as the club’s highest earner, while his buyout clause has been upped to 300 million euros.